Note: Facebook tabs don’t work well in mobile. If possible choose the view desktop option on your phone to see the tab. Click here to visit the Shiseido facebook and like them. Then on the “Perfect Pair” tab, scroll down and click enter. 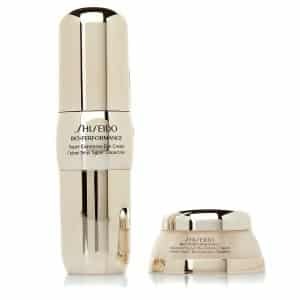 Finally just fill out the form to request a free sample of their Shiseido Bio-Performance Super Corrective Eye Cream. According to their facebook, this should arrive in 2-4 weeks. It worked wonderfully and was really simple! Thanks for the link!